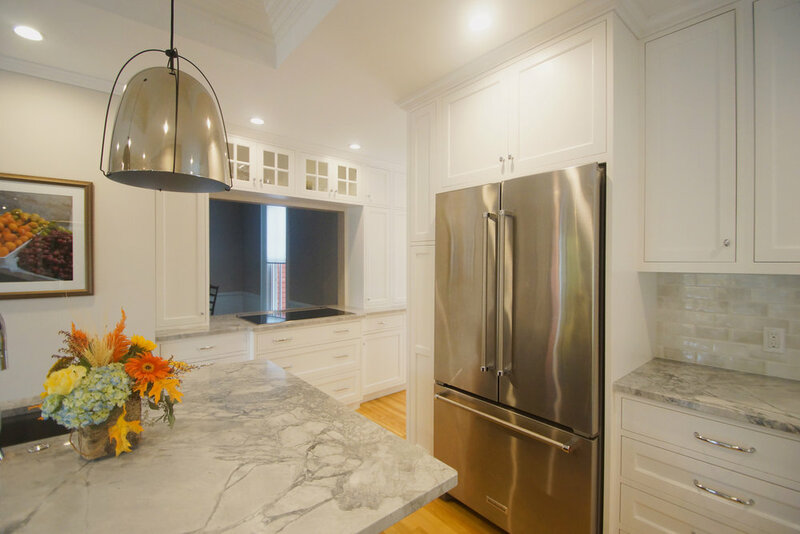 The existing kitchen of this large 1800's Victorian home was in need of a major overhaul. The layout limited sight-lines and the space was not conducive for the homeowner's desire to have an entertaining space that connected with the dining room. Expanded the kitchen into the existing butler's pantry and back addition to add much needed square footage to this space. A large opening was made and framed with cabinetry to give much needed views to the dining room. 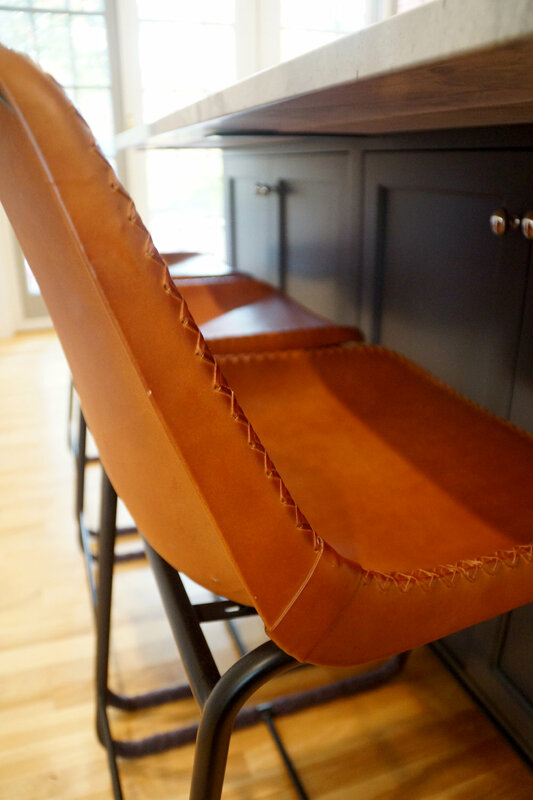 Although this created an awkward shape for this space, we maximized efficiency by creating specific cooking and prep zones with ample counter space in each zone. 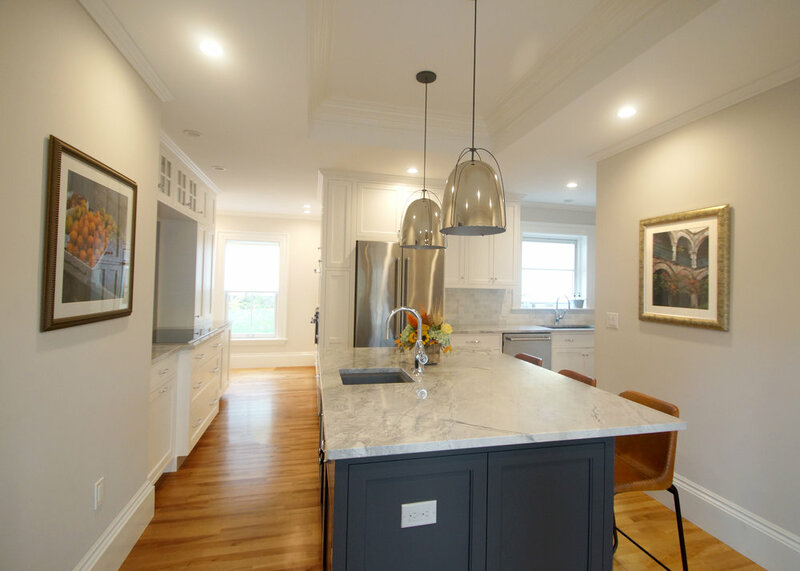 The neutral palette of white inset shaker cabinets, soft gray backsplash tiles, and quartzite counters is balanced with a statement dark painted island, leather stools, and warm maple floors. Chrome hardware and faucets add sharp definition while the contemporary pendants add updated elements to a traditionally-styled space.